Product prices and availability are accurate as of 2019-04-20 13:15:03 BST and are subject to change. Any price and availability information displayed on http://www.amazon.com/ at the time of purchase will apply to the purchase of this product. 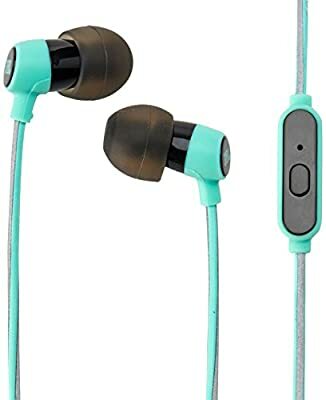 Sweat evidence and sporting an unique reflective style, the light-weight JBL Reflect Mini in-ear sport headphones were developed to sit tight even throughout the most intense workouts. Legendary JBL sound can be conveniently enjoyed through the premium 5.8 mm vibrant motorists while actively taking part in everything from running to cross-fit for hours on end. Providing the smallest sport style from JBL, the JBL Reflect Mini may make you forget you are using headphones at all. Featuring a one button remote and mic, adjustable Y-Split cables and the angled adapter, the JBL Reflect Mini is the perfect training partner. 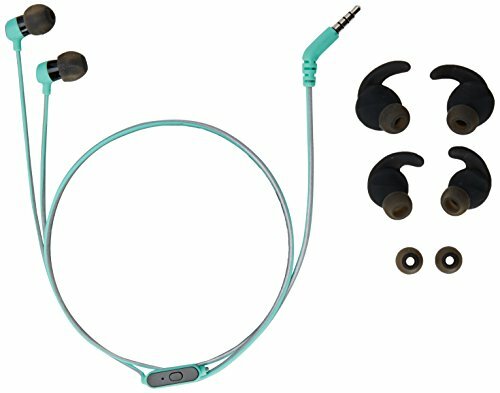 In The Box:1 pair of JBL Reflect Mini in-ear sport headphones, 1 button in-line control with microphone, 2 sizes of ergonomic sport ear-tips, 2 sizes of regular ear-tips, 1 Flying start Guide, 1 Safety Sheet. Please note that these headphones are not Bluetooth made it possible for.